In the Spider-Man film series, will Andrew Garfield be remembered in much the same way that George Lazenby is often seen as the odd man out among James Bond actors? Both of these actors faced the tough task of being the first to fill in for the original actor in the role. I know, both Peter Parker and James Bond had been portrayed by different actors on TV before making their film debuts in 2002 and 1962, respectively, but you know what I mean. Tobey Maguire and Sean Connery will always be synonymous with their respective characters since they had the biggest impact and enjoyed the biggest success early on. But what about their immediate successors? 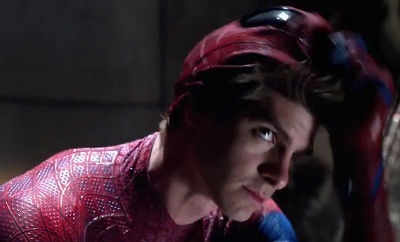 How will Andrew Garfield’s contributions be judged as the character moves on without him? Let’s discuss his similarities to George Lazenby before answering that question. It’s interesting to see what unique traits two actors bring to the same part. Neither Garfield nor Lazenby attempted to recreate what had worked for their predecessor, which is admirable. Maguire’s Parker is dopey in an endearing kind of way. He reminds me quite a bit of Corey Haim’s titular character in 1986’s Lucas. He’s sweet and he refuses to give up, even in the face of bullies and relationship problems. Garfield’s Parker, on the other hand, is full of nervous energy that seems impossible for him to repress. He reminds me of Daniel LaRusso in 1984’s The Karate Kid. He can’t help standing up to bullies, even though he’s not strong enough to back up his words at first. He refuses to leave well enough alone. I like both of these approaches to the character because they’re both relatable and awkward in their own ways. I especially like the scene where Garfield struggles to adjust to his freakish strength and he keeps breaking things in the bathroom by simply touching them. We never got a good sense of Spider-Man’s super-strength in the Raimi films, so this was a welcome element. At least Garfield had been acting for years before taking on the role of Spider-Man. 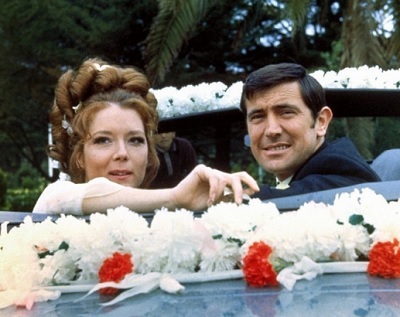 On Her Majesty’s Secret Service was Lazenby’s first role in a feature film. He bluffed his way into it during the casting process. That’s pretty extraordinary when you think about the fact that he was attempting to fill the shoes of the man who, to this day, still ranks as many people’s favorite actor in the role. No one had ever tried replacing Connery, and Lazenby did a pretty decent job, all things considered. He’s not as confident in himself as Connery. He often appears incredibly vulnerable as he sneaks into an office to copy files or infiltrates Blofeld’s impregnable fortress atop a mountain. But his performance is so distinct that he can certainly never be mistaken for any other actor who played the same role before or after him. 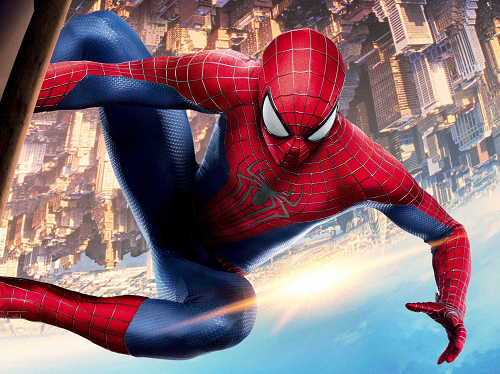 The Amazing Spider-Man has a different feel than any of the previous Spider-Man films. It begins by focusing on the mysterious deaths of Peter Parker’s parents. Then it becomes a revenge story as Parker attempts to track down Uncle Ben’s killer. After that, it transitions into a save-the-city scenario where Spider-Man has to prevent the Lizard from turning every New York City resident into a lizard person. I think the change in tone works quite well as Parker slowly learns his purpose, but it leaves a lot of loose ends, as the film itself acknowledges. Its sequel resolves the mystery surrounding Parker’s parents while opening up a lot of other story possibilities that never got to be explored in further sequels. On the other hand, each of Raimi’s Spider-Man films are mostly self-contained, and they don’t rely heavily on past history, except for the Harry Osborn storyline. At the end of each film, the bad guy dies and Parker has a nice little scene with Mary Jane. The films work perfectly well as standalone stories, but they are enhanced when seen as part of a larger story. On Her Majesty’s Secret Service is much more personal than any other Bond film before it. 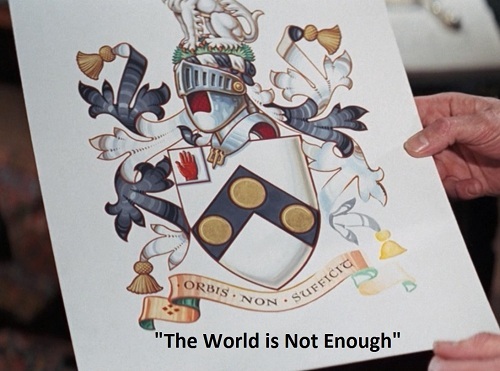 Blofeld doesn’t have a scheme to take over the world. He simply wants to be pardoned for his crimes and have his genealogy revised to turn him into a count. This is quite a switch from all of the Connery films that usually dealt with Cold War politics or megalomaniacs with delusions of grandeur. 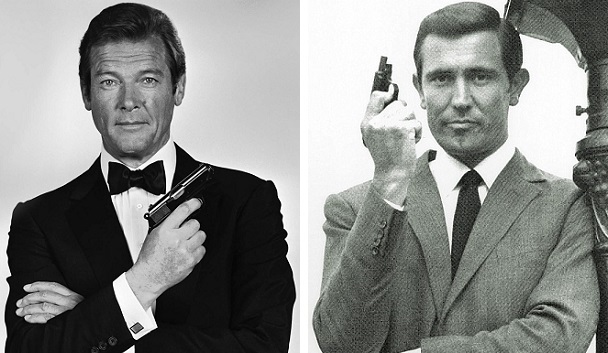 Few of the early James Bond films bothered with story continuity. But it seemed like On Her Majesty’s Secret Service was on the verge of breaking that tradition. The way the film ends makes it seem like the sequel is going to be a revenge film. But that’s not what happened. Other films in the series have referenced this film’s ending, but it didn’t get a proper conclusion. One of the biggest things that Garfield and Lazenby have in common is that their films have a tragic love story. The Amazing Spider-Man ends with the death of Gwen Stacy’s father. Before he dies, he makes Parker promise to leave his daughter alone so that she won’t get hurt by his enemies. Parker tries to follow his dying wishes, but he can’t stay away from the girl he loves. Bond has the opposite problem. Contessa Teresa di Vicenzo’s father implores Bond to take care of his daughter. He’s wary of the assignment at first, but he soon falls in love with her more deeply than with any of his previous flames. He even teams up with her father to rescue her when she falls into Blofeld’s hands. In the end, Stacy and Tracy die at the hands of their lovers’ enemies. Stacy falls to her death after being dropped by a goblin-ized Harry Osborn while Tracy is killed by Blofeld’s cohort in a drive-by shooting. This causes both heroes to erupt in tears as they mourn their lost loves. The Amazing Spider-Man 2 ends on a more hopeful note than On Her Majesty’s Secret Service because it shows how Parker grieves for several months before taking on the mantle of Spider-Man once more. But it’s still a bit of a downer. Both Amazing Spider-Man films failed to reach the heights of previous installments in the series, though they weren’t all that far off and they certainly weren’t bombs. The same goes for On Her Majesty’s Secret Service. It performed more like Connery’s first films in the series rather than his later (and more profitable) ones. Garfield was going to be given a third Spider-Man film, but he was fired after growing a beard and failing to appear at an event with the head of Sony. 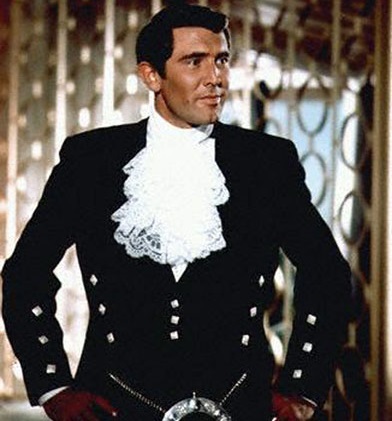 Lazenby, too, grew a beard for the premiere of On Her Majesty’s Secret Service, and he was also let go shortly after that for a number of reasons. It didn’t take Spider-Man long to bounce back from Garfield’s departure. Tom Holland was introduced in the role with a small but memorable part in 2016’s Captain America: Civil War. Unlike the two previous actors to play the role, Holland didn’t get an origin story. He just showed up as a fully formed Spider-Man, ready for action. And it’s perfect. He was immediately embraced by fans as the ideal interpretation of the character. He’s witty and he loves to banter during his big fight scene. This year’s Spider-Man: Homecoming further cemented his place as the new Spider-Man. 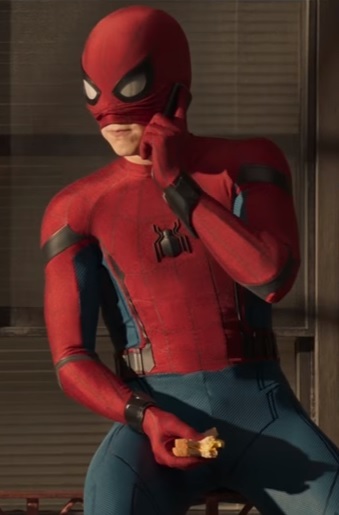 He’s arguably the best actor to ever fill the role and Spider-Man: Homecoming is quite possibly the best Spider-Man movie yet. We could be seeing more of him for many years to come. After Lazenby departed, Connery came back for one last official Bond film in the form of Diamonds Are Forever. After that, the mantle fell on Roger Moore. The funny thing is that in his first turn as Bond in Live and Let Die, Moore didn’t receive any kind of special introduction. He’s just kind of there at his house and he’s treated like he’s always been James Bond, so there’s no reason to make a big fuss over his reveal. This is unlike any other time a new Bond actor has been unveiled for the first time. Despite the lack of ceremony at his beginning, Moore went on to star in more EON Bond films than any other actor: seven. Audiences just kept coming back for Moore. While his movies are a little divisive and are seen as hit or miss, they’re all entertaining, and Moore is usually regarded as the most comedic Bond. On Her Majesty’s Secret Service is often pointed to as one of the best Bond films, and I can’t say I disagree. It’s actually a pretty compelling film, and it would still be even if it weren’t part of such an iconic franchise. Its impact on later films is undeniable, as it’s referenced several times and it was the first to bring up Bond’s genealogy in any meaningful way, ultimately paying off in The World Is Not Enough and Skyfall. On rewatching the two Amazing Spider-Man films, I found a lot to love about them. I appreciate their attempts to differentiate themselves from the original trilogy and tell a story that hadn’t been addressed before. I would argue that they will be remembered fondly as the years go by, especially the first one. I have similar feelings about The Amazing Spider-Man 2 as I do about Superman Returns. They are both clearly laying the groundwork for a lot of things that we’ll never get to see pay off, which is too bad. So watching them makes me feel melancholy, knowing that I’m only seeing the first part of a much bigger story. If for nothing else, The Amazing Spider-Man 2 will be remembered for its page-perfect Spider-Man costume. 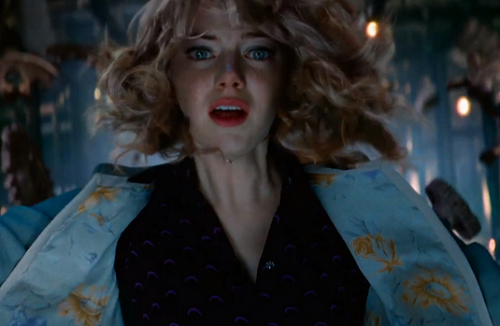 Nobody does it better than The Amazing Spider-Man 2. Andrew Garfield will most likely be seen as an oddity because he’s neither the first nor the best Peter Parker/Spider-Man. He’ll have to be content being the George Lazenby of the series. But that’s not a slight on him. He did a solid job and he’s the best part of both of his films. It’s just not easy to be judged when no one knows how to manage their expectations. This entry was posted in Movie Matchups and tagged action movies, actors, andrew garfield, comic books, films, george lazenby, james bond, movie review, movies, movies based on books, relationships, romance, science fiction, sequels, spiderman. Bookmark the permalink.